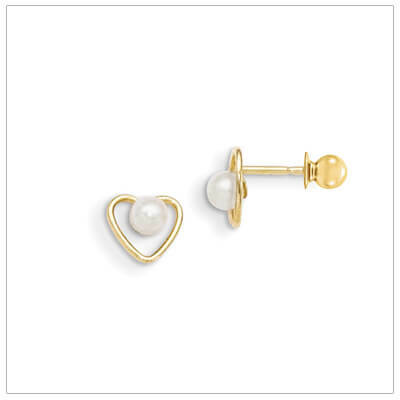 Cultured pearl earrings for girls with 14kt gold hearts. Our pearl screw back earrings protect children's ears and prevent loss. 14kt gold posts, hearts, and screw backs. Gold hearts measure 6mm x 7mm.